With wildfires raging along with political tension and recent tragedies, we are reminded about the power of sports to entertain, distract and bring people together. Welcome distraction…Los Angeles needs a break from last week’s tragic shooting and spreading wildfires. 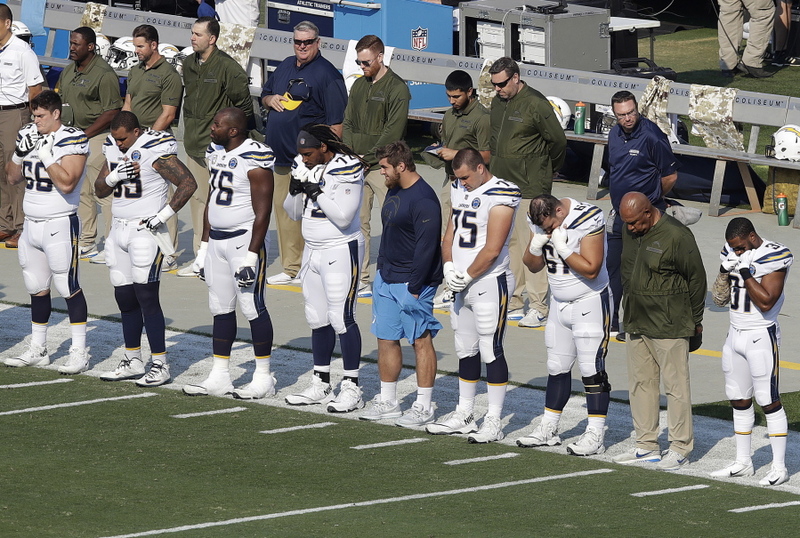 Enter the Los Angeles Rams (9-1) and Los Angeles Chargers (7-2), two the league’s best teams who both won Sunday despite playing with heavy hearts. It’s worth noting that both squads relocated to LA two years ago as the City of Angels (the second largest US media market) didn’t have a professional football team for 21 years prior to 2016. With all due respect to the LA squads, however, the New Orleans Saints (8-1) have won eight in a row and might be the best team in the league. The Saints blasted the Cincinnati Bengals 51-14 Sunday putting the league on notice. When the student takes down the teacher…that’s what happened Sunday as coach Mike Vrabel led his Tennessee Titans over his former coach and mentor Bill Belichick and the New England Patriots 34-10. In a Sunday night rivalry game, the Dallas Cowboys kept their season alive by beating the defending champion Philadelphia Eagles. No surprises this week in college football as the top 10 teams all won. The only matchup with any intrigue was #6 Oklahoma sneaking out a victory over in-state rival Oklahoma State 48-47 Saturday. Start spreading the news…There are few high-powered matchups this weekend but one to watch is #3 Notre Dame vs. #13 Syracuse. The game features two top teams and is being played at Yankee Stadium in the Bronx. That’s right. A neutral field that happens to be a baseball stadium. Impressive, eh? The Toronto Raptors continue to be the NBA’s surprise team sporting a league-best 12-2 record. Similar unexpected success is being had by the Milwaukee Bucks (second to Toronto in the East) and the Portland Trailblazers (second to the two-time defending champion Golden State Warriors in the West). Paternity leave? Indeed. 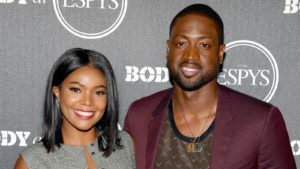 NBA Champion Dwyane Wade is taking time off to be with his wife, actress Gabrielle Union, as they welcome their daughter who was delivered by a surrogate a few weeks early. If speed is what you need, Kyle Busch won Sunday’s NASACR playoff elimination race in Phoenix and will compete in the Championship 4 at Miami this Sunday. Joining Busch in the four-driver NASCAR championship chase are Joey Logano, Kevin Harvick and Martin Truex Jr.
Youngblood. #1 Duke is a sight to see. 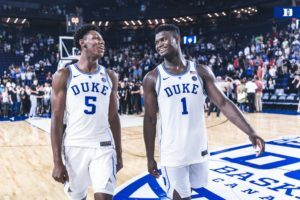 The Blue Devils might have the two best players in the country, and they are both freshman. 6’7” Zion Williamson and 6’7” RJ Barrett look spectacular, albeit in just two games. The duo will likely be drafted in the top-5 and be delighting NBA fans next year. Hoops dominance…Duke is the #1 team in the country for the 135th time, breaking a tie with UCLA for most all time. Don’t forget about us…#2 Kansas was ranked #1 last week before Duke leapfrogged them. KU has young star power of its own, including freshman Quentin Grimes and sophomore Dedric Lawson, that has led Kansas to a 2-0 start. The rest of the top-five squads are: #3 Gonzaga, #4 Virginia and #5 Tennessee.